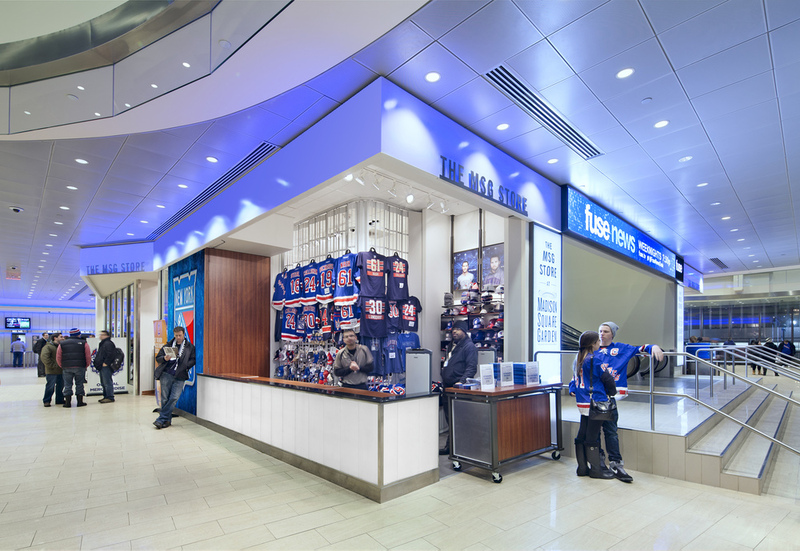 As part of the transformation for the entire Madison Square Garden project, Tobin Parnes Design was selected to provide programming and design of all Furniture, Fixtures and Equipment throughout all retail areas including stores, kiosks and consignment outlets. TPD was also asked to provide major visual and overall design changes of the retail areas to further enhance the sales experience and engage client interactivity. MSG, being home to (2) different teams playing simultaneously presented a most unique challenge forcing out of the box thinking and solutions. With the use of cleverly designed double sided rotating fixtures, mobile stands and high density storage systems, changing out from one team event to another, overnight, was much more easily accomplished. 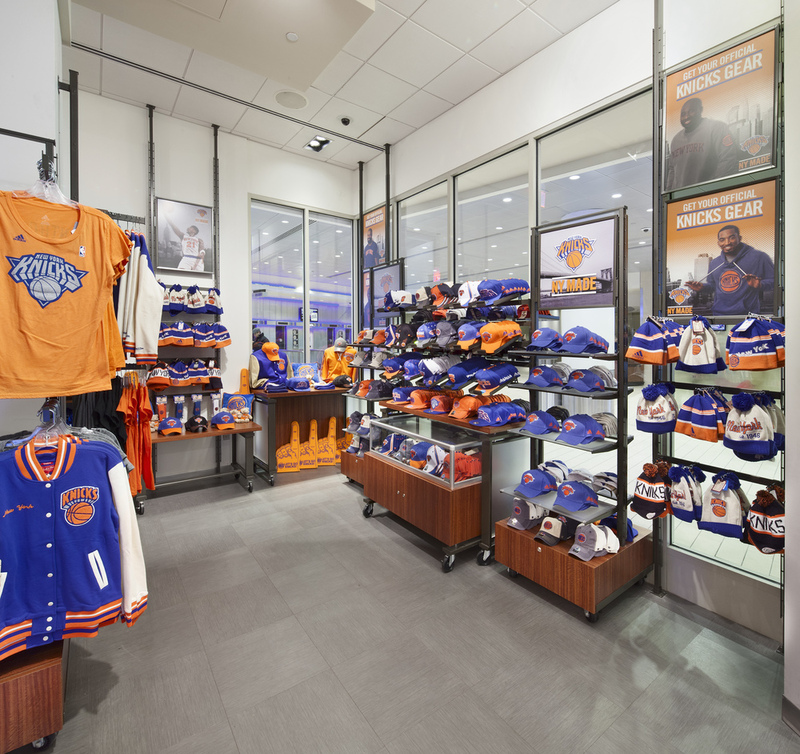 A neutral yet complimentary color palette allowed the merchandise to stand out and provide the much needed color scheme representative of each team. Inherent fixture components allowed for various display arrangements with minimal effort. With complete flexibility in mind, this kiosk was conceived as a 2 part system, becoming a multi-functional unit. Configured as either a traditional floating 360 degree selling area or divided into halves and placed against a wall, these units act as self-sufficient islands allowing for greater circulation flexibility when necessary.